Me and Wease at the BewPub. 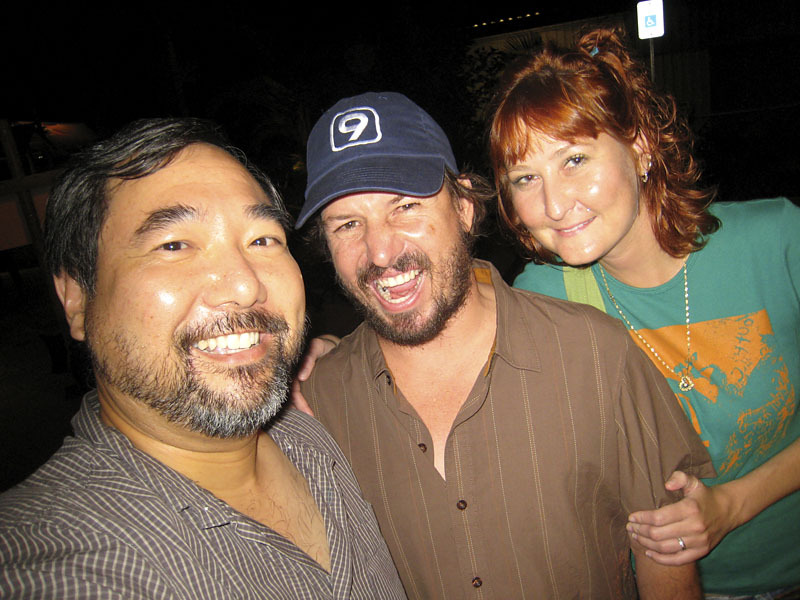 The last time I saw Wease in Kona was years ago at the BewPub where he was playing a gig with his band. 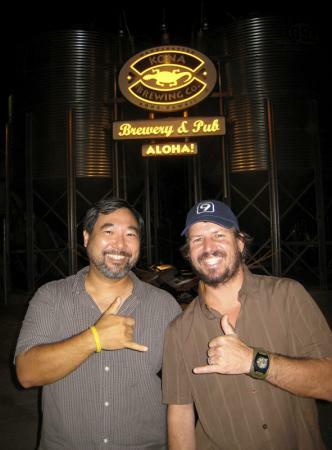 He now lives on Oahu and does audio for a profession, if you wanna guess where he works his hat might be a hint. A good friend from days past in Kona Wease was visiting with fiance Heather who is working on the Big Island part-time. Wonder if I can make the wedding on Oahu? It’s gonna be fun with SKA band Warsaw playing.